Looks like Kilpauk - Anna Nagar has become the hub for Middle-Eastern food. 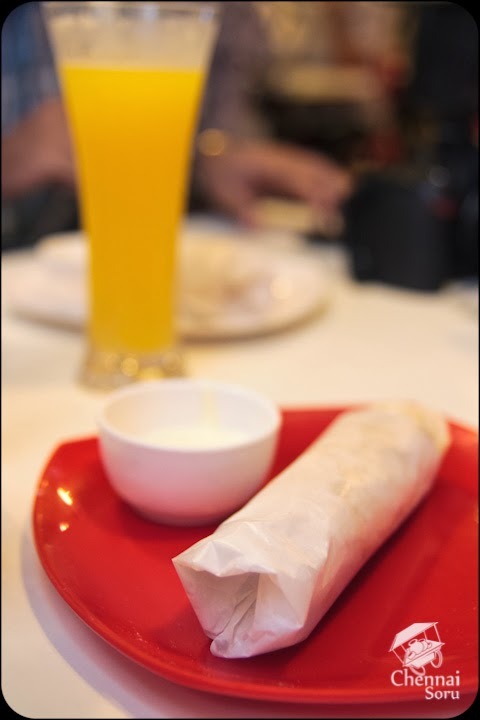 With easily 18 outlets which serve up Shawarma and Grilled Chicken, its a non-veggie's paradise. The latest entrant to this food scene is Laham located near Kelly Signal. Laham with its contemporary interiors feels more upmarket when compared to the rest here. To add to this there is a Bubble Tea joint called Tas Tea right next to it, which is more like a sub-let of Laham. Since this place is only a few days old, a small group of foodies decided to visit & sample what was on offer. The group of foodies ordered Chicken Shawarma, Hariyali Kebab, Shish Tawook and Chicken Sheik Kebab. To drink a couple of bubble teas. I was new to the Bubble Tea concept. Mr.Chennai Foodie, was raving about it on our ride to Laham. I chose a Lychee Ice Tea with Lychee Topping for my Bubble. First sip and it was just like a regular tea. Where did the bubble go! Next sip I pushed the straw to the bottom of the beaker and took a sip and then I felt the bubbles (jelly like substance) rush into my mouth with a fruity tea flavor. Very different and definitely a first for me. Before the next dish could arrive, the owner recognized the group as his school mates and joined us. He disclosed his elaborate vision for the restaurant. He informed us that it had been only a few days since the place had opened up and so the entire menu was not available. He told us that he would be launching burgers to the menu soon. This is something I am really keen about. Chennai has a drought of burger joints. I surely hope that this fixes it. Next came the Chicken Shawarma, it was kubbus stuffed purely with chicken and minimal amount of veggies and small dash of garlic mayo and sauce. I am definitely a person who loves more non-veg inside a dish and I sure liked it. The owner told us, the kubbus is being sourced from Zaitoon as of now as the kitchen is not fully functional and he hopes they would be able to make their own soft kubbus soon. 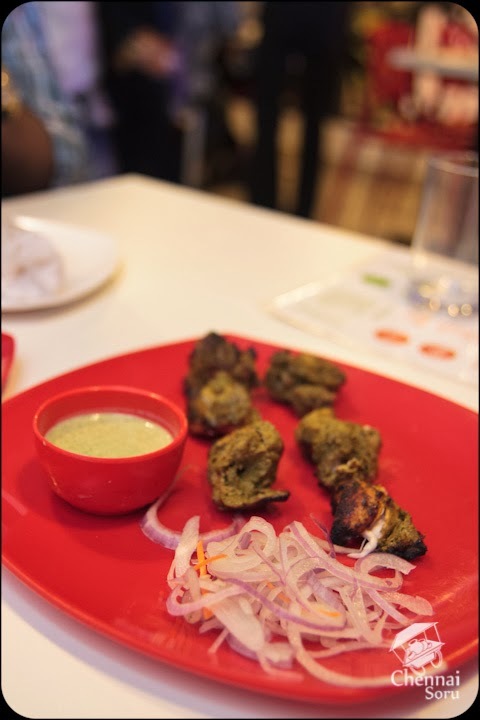 Hariyali Kebab and Chicken Sheik Kebab were tender and cooked to perfection. Shish Tawook was juicy but different. It had a distinct coal flavor to it. The menu has various other items such as the rices, roti and some gravies. Should return some other time to sample the full menu. Seats about 40 people at a time. Contemporary furnitures all around. They have just opened up, so I would wait for talking about it. 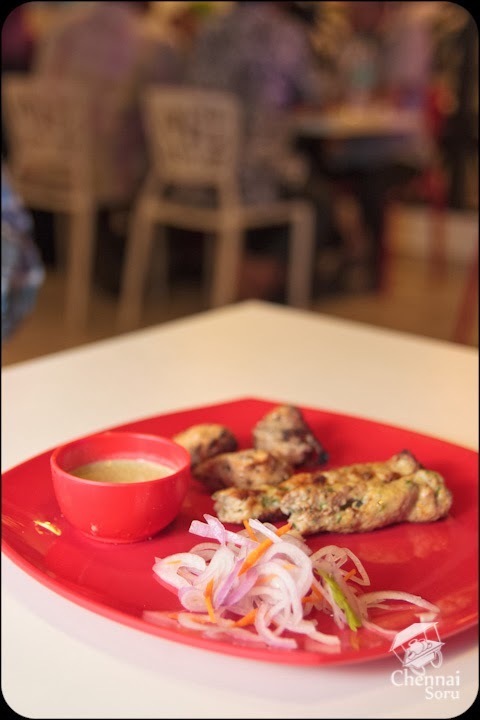 Most dishes are priced at Rs 200/- each. So I am guessing it should work about Rs 1200/- for two. 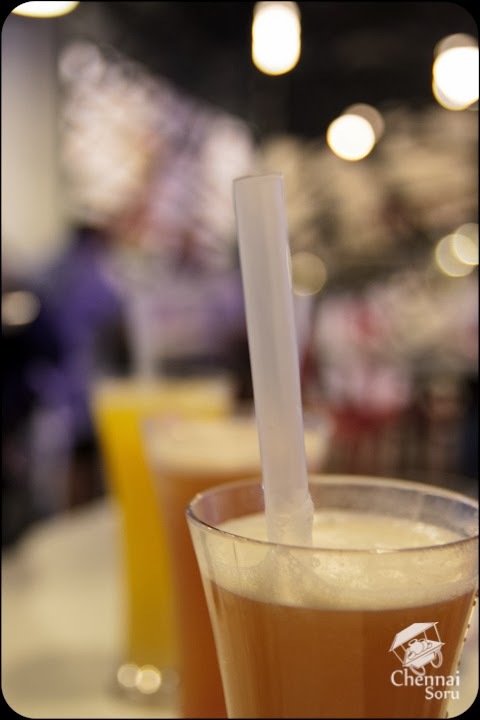 Laham is located in Kellys junction right opposite to HDFC Bank Kilpauk.